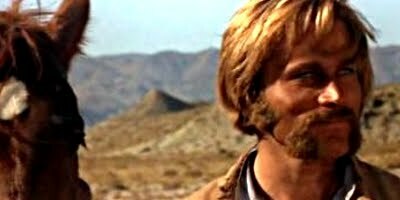 In this classic genre favourite directed by the great Sergio Corbucci, set during the bloody Mexican Revolution, a pack of rebels led by Paco Roman, played by Tony Musante, hires a Polish mercenary, Franco Nero, to add more credibility to the revolutionary cause. Jack Palance, the first western villain to sport a terrible curly wig also stars as a rival mercenary, aptly named Curly who seeks revenge against Musante. And Giovanna Ralli adds a nice touch as a particularly strong female character who becomes romantically involved with Musante and keeps the rebel pack on the right path, especially when personal greed becomes more of an ambition than the actual revolution itself. The cast is excellent. Franco is perfect as a mysterious "man with no name" gunslinger. Tony Musante makes a very believable rebel leader, Giovanna Ralli is both beautiful and fiery and Jack Palance is typically menacing and also slightly humorous with his wig. Sergio Corbucci's direction is breathtaking and Ennio Morricone composes one of his greatest and most rousing scores comparable to his work with the great Sergio Leone. The Mercenary is an action filled western extravaganza interlaced with humour and political and religious undertones featuring a large cast of extras, large battle scenes, towns laid to waste, a biplane dropping bombs, a classic pistolero duel set in a bullring and Franco Nero even gets to use a machine gun again just like he did in Corbucci's Django.